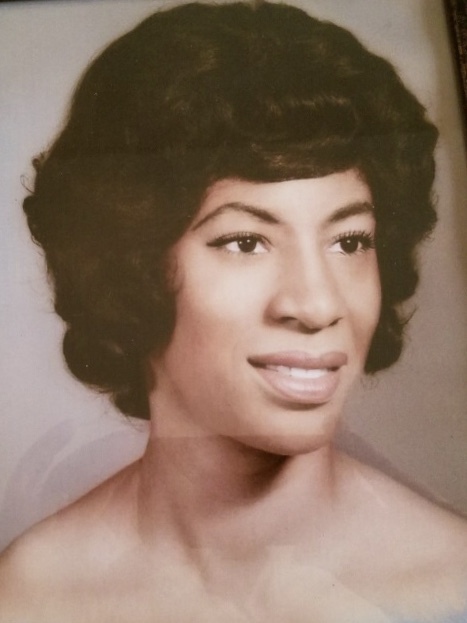 Louisa Marjorie Smalls, 85, of Stafford died February 1, 2019 at Greenville Assisted Living home. Louisa was born on February 18, 1933 to Paul and Hulda West in Manhattan, New York. She graduated from Washington Irving High School in Manhattan, NY. After high school she attended the City College of New York for two years. In 1954 she married Frederick Barnes and gave birth to Cheryl, Krishna and Luana. Louisa and Frederick divorced, and Louisa married Moses Davis Smalls Sr. on April 5, 1964. Louisa and Moses gave birth to Paul, Moses Jr. and Karen. They then raised the six children together. Louisa was a supportive army wife. She supported Moses as a Battalion and Brigade Commander in Fort Riley, Kansas as well as the Post Commander in Stuttgart, West Germany. She moved a family of eight people to nine different locations to support Moses in his military assignments (Fort Benning, GA; Fort Bragg, NC; Fort Leavenworth, KS; Pine Bluff Arsenal, AK; Fort Riley, KS; Fairfax, VA; back to Fort Riley, KS; Stuttgart, West Germany; and Fort Dix, NJ). Louisa had an amazing heart for children. She raised six children and instilled a strong faith in God, heart to serve people, the importance of family and appreciation for music in each of them. After all her children had left home, she worked for the KinderCare Learning Center for six years taking care of infants and toddlers. Once she retired from KinderCare Learning Center she provided after school care and activities for children in her neighborhood. Louisa also had a love for music and the arts. At age 13 she started the first children’s choir and led the choir by playing the piano at her father’s church. She was an accomplished pianist who taught others to play piano and blessed many as an organist and pianist. She has led the worship with the organ or piano at many of the congregations she was a member of. The latest congregation she blessed with her music was the Prince of Peace Lutheran Church in Marlton, New Jersey. When she was no longer able to play the piano, she continued to serve her fellowship in any way she could. Even in her last days, Louisa’s eyes would light up at the sound of classical music. Louisa was preceded in death by her parents, Paul and Hulda West; husband, Moses Smalls Sr.; brother, Charles Trelawney West; and son, Moses Smalls Jr. She is survived by her two brothers Paul West (Mariko); Eugene West; five children: Cheryl Asher, Sicklerville, NJ; Krishna Stevens (Bret), Stafford, VA; Luana Hilke (Rick), Richmond, VA; Paul Smalls (Kinyta), Wenonah, NJ; Karen Thomas (John), Northridge, CA; her grandchildren; Erica Eberle (Chris), Ryan Asher, Jocelyn and Lauren Stevens, Michael Thomas, Spencer and Nicolette Hilke, and Brandon Thomas; and her great-grandson, Reece Eberle, along with numerous nieces, nephews and cousins. A service will be at 10 a.m. on Friday, February 15th at the Prince of Peace Lutheran Church, 61 Route 70 East Marlton, New Jersey 08053, with Reverend Brett Ballenger officiating. Funeral arrangements will by Covenant Funeral Service, Stafford. The burial will follow the services at the Brigadier General William C. Doyle Memorial Cemetery, 350 Province Line Rd. Wrightstown, NJ 08562. Louisa created a legacy of faith, family and servitude. Though she is no longer with us we will carry on her legacy. Keep humming, singing and making music to our Lord! You are dearly missed!